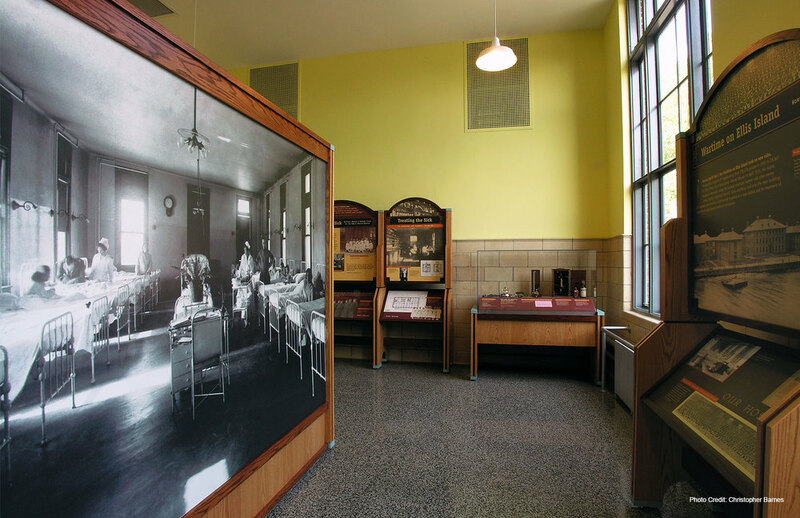 Future in the Balance: Immigrants, Public Health and the Ellis Island Hospitals, interpret Ellis Island's significant place as the world's first public health facility and its impact on individuals and on our nation. 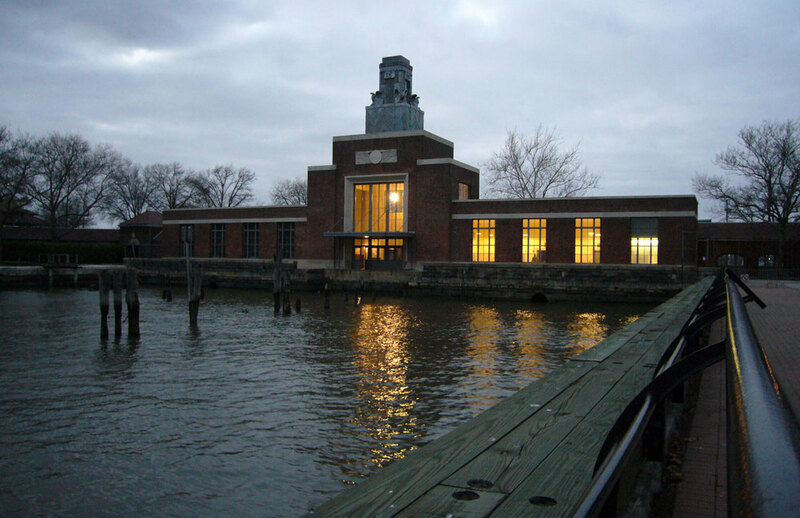 SFD designed a series of exhibits that occupy 7,000 square feet of Ellis Island's historic Ferry Building. The exhibits showcase the evolution of the island's South Side where the hospital complex is located, and the need to preserve this national treasure. They have a quality of material and detail that evokes the late 19th and early 20th centuries, and that makes them compatible with the restored Ferry Building. Exhibits are free standing and modular so as not to impair the historic fabric of the building. "I can't say enough about the professionalism and adaptability we've experienced with Steve and Katy from the beginning of the project on Ellis Island."